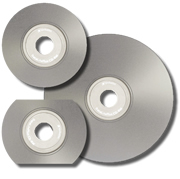 CD-R disc duplication is the ideal solution when you need to order less than 1000 CDs. CCSS Inc. duplication service combines fast turnaround, great prices and professional quality thanks to our R-Quest duplication systems and the personal to operate them, we can copy your CD's in a timely fashion. Short-Run CD duplication gives you the flexibility to meet fast deadlines, and not lose the look and feel of CD-ROM. Standard Short-Run CD duplication orders are completed within 1-2 business days from art approval. ���If you need a larger quanity check our CD-ROM Replication section. CD-R Duplication Turn Around Time 1,000 Units a Shift.